It is hard to keep track of cruise refurbishments these days as more cruise line look at making their ships the best they can be. Carnival Cruise Line has already upgraded four of its ships and we are only coming to the end of the third month of 2017! The cruise line has been busy making sure the fleet is updated with the latest features for guests to enjoy. So far four vessels have been refurbished at the Grand Bahama shipyard in Freeport Bahamas. Carnival Ecstasy was the first with a dry dock from January 10 – 24 and additional FUN 2.0 features were added including a new Guy’s Burger Joint, BlueIguana Cantina, Alchemy Bar and Cherry On Top. The Fantasy class ship is currently sailing Bahama itineraries from Charleston, South Carolina. The second Carnival cruise ship to undergo a renovation was the Carnival Dream. The ship entered dry dock on January 29 and for two weeks was upgraded with a new Guy’s Pig & Anchor Barbeque Smokehouse, BlueIguana Cantina, Alchemy Bar, Pizzeria del Capitano and Bonsai Sushi. The ship was all shiny and fresh when it resumed sailing out of New Orleans on February 12. The third vessel to receive some attention was the Carnival Sensation. The ship got all the latest FUN 2.0 features which are popular throughout the fleet. The upgrade cost millions at the shipyard in the Bahamas where work was done around the clock to make sure it was ready by February 22. 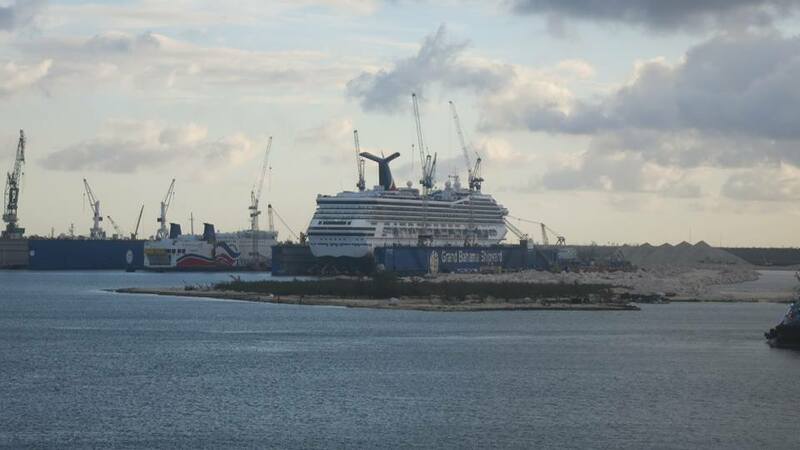 Carnival Sensation went back to regular service out of PortMiami, Florida. 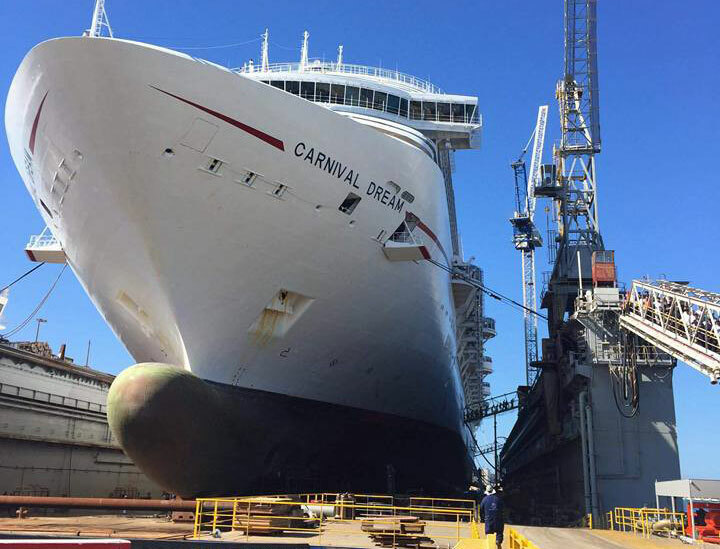 Carnival Glory is the fourth ship to go through a multi-million dry dock operation. The ship entered the shipyard on February 25 and was completed on March 10. During the refurbishment, the vessel got a refresh with new carpeting, wall coverings, tile work, lighting in lounges and public areas. Many aspects were given a look over but the main highlight was the new Carnival Water Works on the ship’s open deck. Due to the huge amount of work needed for the new addition, it is still under renovation until March 26 as the ship is in service. 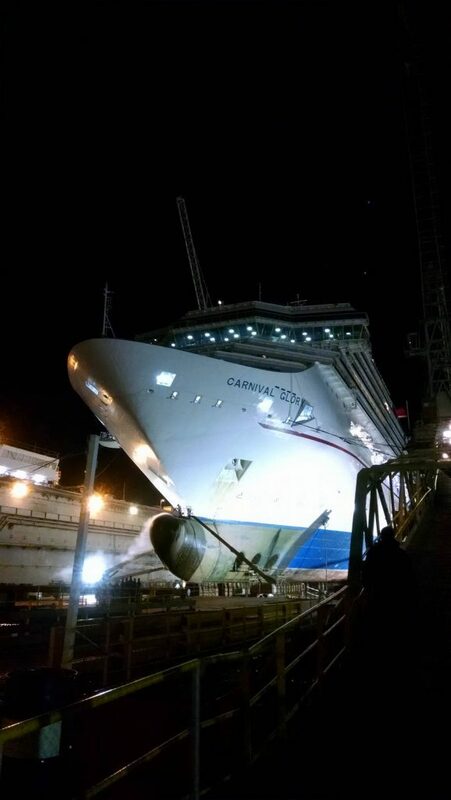 Still to come are more Carnival ships to be upgraded. So far, three more vessels are scheduled to enter dry dock. Carnival Breeze is up next on April 16 with a new Alchemy Bar and a Guy’s Pig & Anchor Bar-B-Que. The dry dock will be completed on April 29. Readers can keep track of all the latest cruise ship refurbishments at our dedicated page which includes all the major cruise lines.